Mysuru: District Officer for Empowerment of Differently-abled and Senior Citizens G.S. 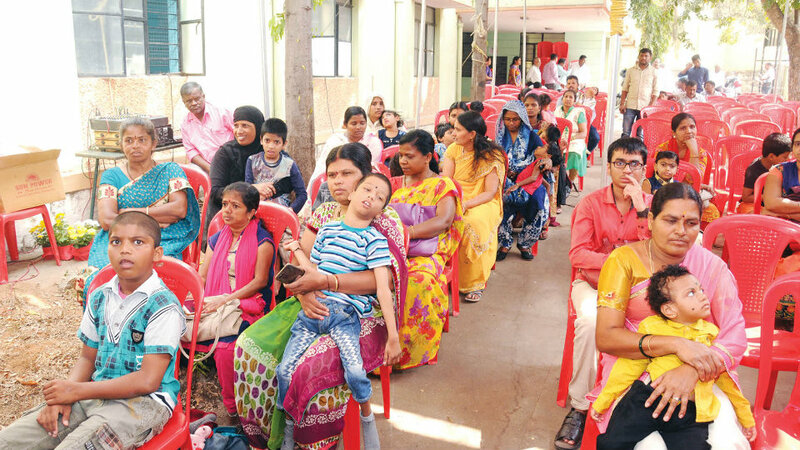 Abhikumar has regretted that shortage of staff in the Department including District Disability Rehabilitation Centre (DDRC) has hampered the implementation of various development works and government schemes across the district. He was speaking after inaugurating the seventh annual day celebrations of DDRC organised by the Department of Empowerment of Differently-abled and Senior Citizens at Tilaknagar in city recently. He said the Union Government had increased the types of disabilities from existing 7 to 21 according to “The Rights of Persons with Disabilities Bill – 2016” after replacing the existing PwD Act, 1995, which was enacted 21 years back. People with 21 such disabilities like Blindness, Low-vision, Leprosy Cured persons, Hearing Impairment (deaf and hard of hearing), Locomotor Disability, Dwarfism, Intellectual Disability, Mental Illness, Autism, Spectrum Disorder, Cerebral Palsy, Muscular Dystrophy, Chronic Neurological conditions, Specific Learning Disabilities, Multiple Sclerosis, Speech and Language disability, Thalassemia, Hemophilia, Sickle Cell disease, Multiple Disabilities including deaf blindness, Acid Attack victim and Parkinson’s disease can avail various benefits from the Government both at the Centre and State, he said. Abhikumar said that Government has also increased the reservation of vacancies for benchmark differently-abled to four per cent from existing three per cent in higher education, government jobs, reservation in allocation of land and poverty alleviation schemes. However, he said that the Department could implement these programmes for people with disabilities only if sufficient staff are appointed by the Government. In her keynote address, Member-Secretary of DDRC R. Kalpana said there were 12, 054 differently-abled persons identified by the Department across the district since from Nov. 2011 till the end of Dec.2018. Of the total 12,054 identified, 6,165 were physically challenged, 1,169 visually impaired, 1,694 hearing impaired, 1,876 mentally retarded, 15 leprosy cured, 737 people affected with multi-disability, 118 Mentally ill, 264 cerebral palsy and 16 autism. She said that the DDRC had conducted 527 public awareness events including medical check up camps, aids distribution since its inception till the end of Dec. 2018 for their empowerment. Felicitation: On the occasion, four outstanding Village Rehabilitation Workers (VRWs) of various Gram Panchayats in the district were felicitated. They are: Vasantha of Govindanahalli GP in Hunsur taluk, Mahadevamma of Kethupura GP in T.N.Pura, M.N. Nagesh of Manuganahalli GP in K.R.Nagar taluk and Jakir Pasha of Hinkal GP in Mysuru taluk. Meanwhile, a visually challenged student Srinivas entertained the audience with the famous Kannada folk song “Duddu Kottare Bekaddu Siguthaite…(meaning one can buy anything with money but not a Mother). Deputy Governor of Indian Red Cross Society, Mysuru branch, Prof. M. Mahadevappa, Corporator R. Rangaswamy, Deputy Director of Women and Children Welfare K. Padma, District Disabled Welfare Association President N. Sridhar Deekshith and others were present.